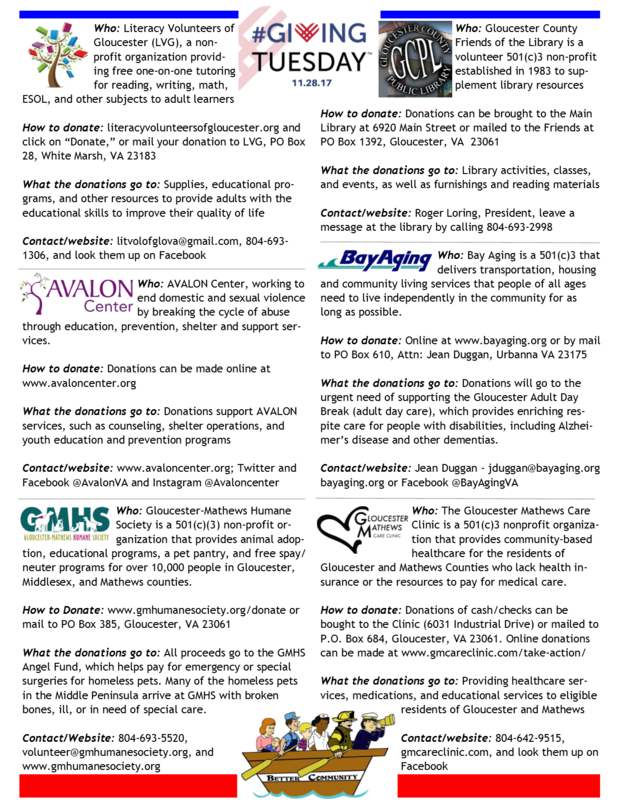 Today is Giving Tuesday! 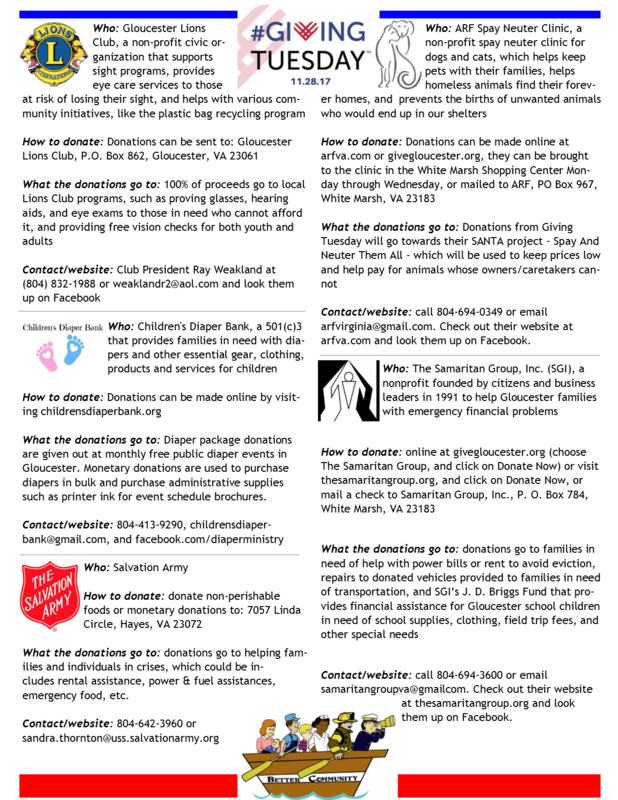 Check out the list of just a few organizations accepting donations that provide services and aid to those in need right here in Gloucester! 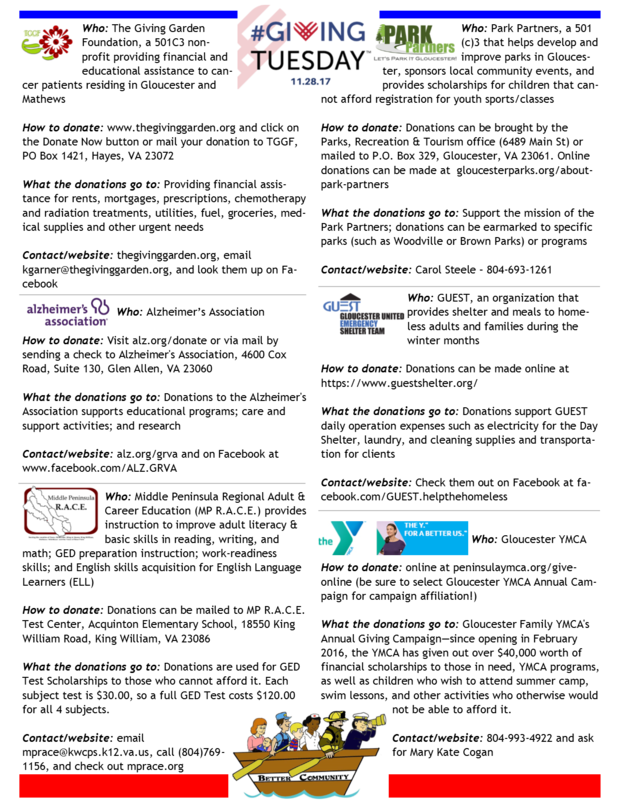 Click HERE for a downloadable PDF! Feel free to download and distribute printed and digital copies!